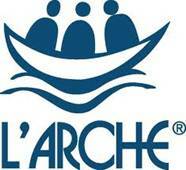 L’ARCHE (Noah’s Ark) is an international federation dedicated to the creation of homes, programs and support networks for people who have intellectual disabilities. 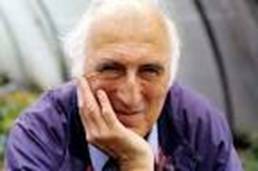 It was founded in 1964 by an OB – Jean Vanier, the son of the then Governor General of Canada, when having seen the environment and the treatment of individuals in some institutions, he decided on a mission to care for these unfortunates. He bought a house in Trosly–Brreuil near Paris where his spiritual mentor Fr Thomas Philippe was chaplain and invited a couple of men with disabilities to join him. From these small beginnings has grown a world wide organisation. L’ARCHE is organised into “communities” comprising of a number of homes, apartments and day programmes where people with learning difficulties, and those that assist them, live together sharing life and build a community as responsible adults. That whatever their strengths and limitations, people are all bound together by a common humanity. That everyone has the same dignity and the same rights, including the right to life, to a home, to work, to friendship and to a spiritual life. meaningfully to the communities in which they live. That systems of belief, whether secular or religious, make the world a better place when they promote the dignity of all human beings, inspiring all to be open to people of different intellectual capacity, social origin, race, religions and culture.